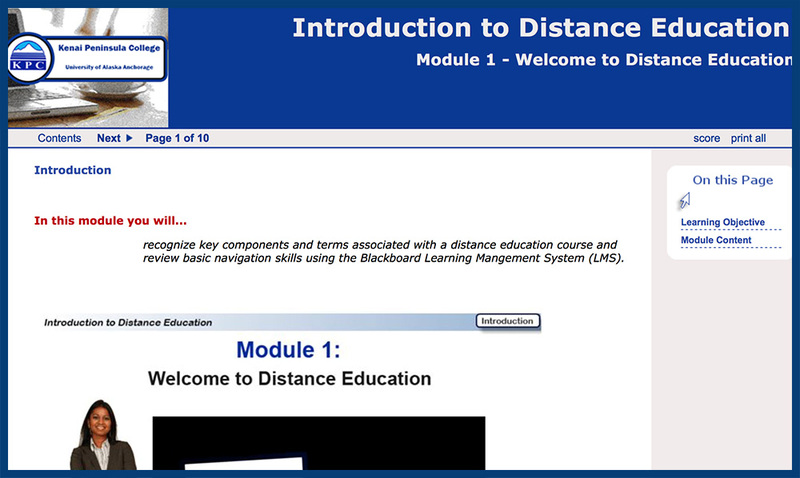 The Introduction to Distance Education course provides five self-paced, online, open-access modules on key topics related to successfully navigating an online learning environment. Included are tutorials on the use of Blackboard (a learning management system); time and resource management when learning online; what to expect in accommodation support and collaboration within an online community; and using online technology tools. Introduction to Distance Education will also address motivation and extending students’ online presence to support their coursework. This course underwent a thorough review by subject matter experts. 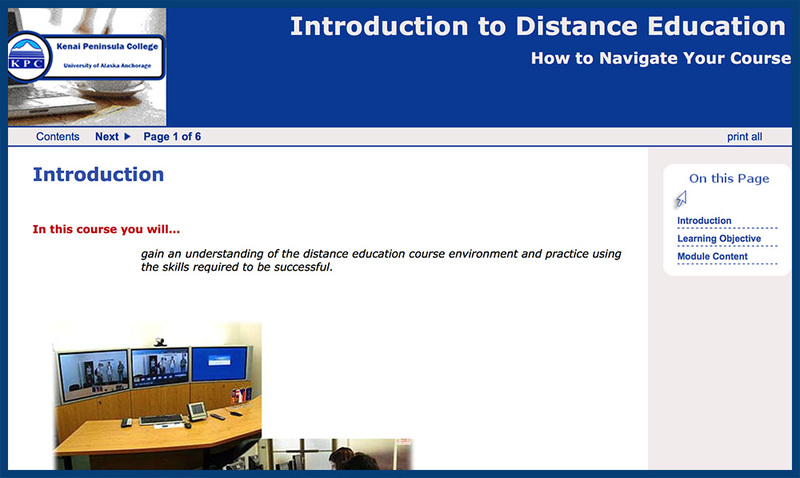 In this module students will develop an understanding for the layout, navigation and content strategies used for your Introduction to Distance Education course. In this module students will learn to recognize key components and terms associated with a distance education course and review basic navigation skills using the Blackboard Learning Mangement System (LMS). In this module students will identify tasks and resources that support strategies for succeeding in a distance education course. In this module students will identify online technology tools and resources to support learning in a synchronous and asynchronous environment. In this module students will identify appropriate communications between peers and faculty in an online environment and describe appropriate copyright restrictions and social conventions when posting information online. 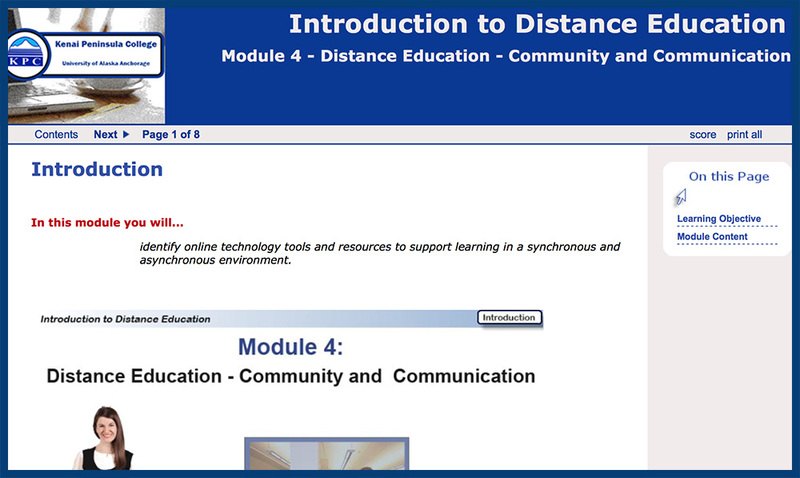 Introduction to Distance Education Module 5 – What’s Next? In this module students will identify strategies for addressing issues of motivation and collaboration in a distance education course. 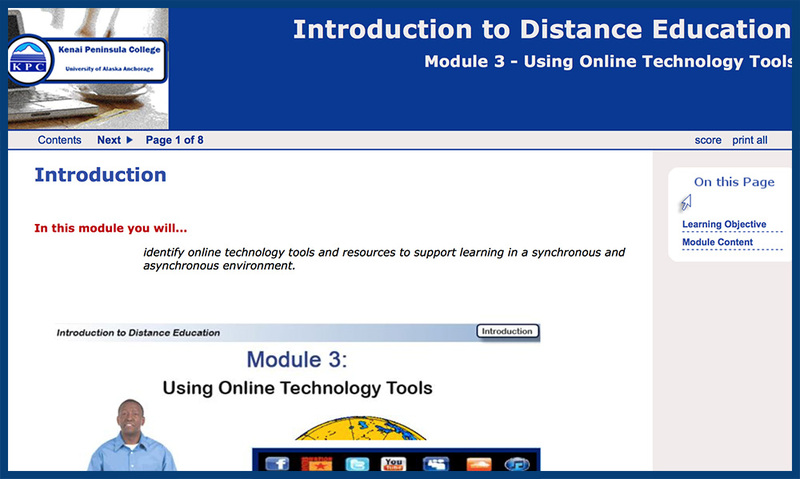 Preview Online Course: Introduction to Distance Education Module 5 – What’s Next? 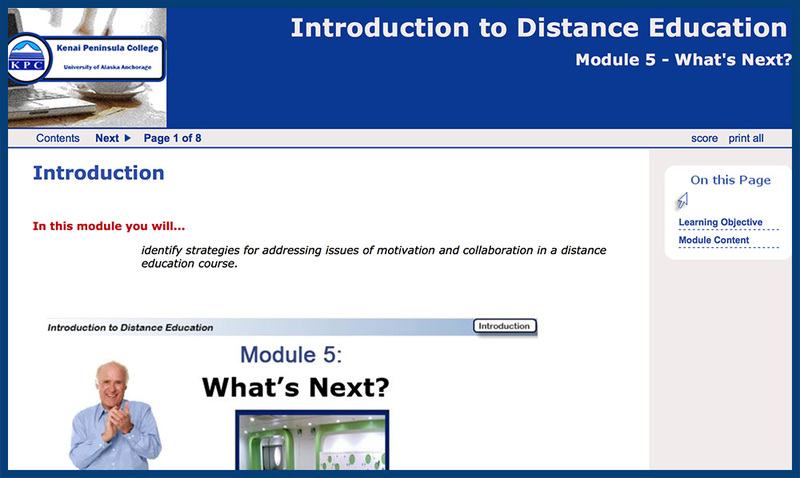 View & Download Materials: Introduction to Distance Education Module 5 – What’s Next?